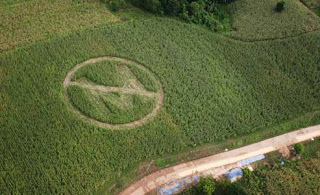 In an on-line article reported at Investigative Reporting Denmark, it looks like Monsanto loses out as Europe says no to Monsanto's GMO. Although Spain and Portugal were blinded by the GMO light, the rest of Europe rejected their genetically modified corn. As someone who has been studying nutrition for quite some time now, I only wish this wisdom would come to the USA. I assure you that it will be one of those things that in years to come, we will get some bureaucratic apology that says somethings like "well, we just didn't have the technology to know it would have these adverse effects". We humans are creatures of evolution. If you want healthy food, look back and study the foods we ate as we evolved and before we started getting involved in influencing our foods. Go back and watch the movie The Butterfly Effect and tell me you think it's a good idea to make genetic modifications to something so intimate as our food? For more on the Monsanto Bad European vacation, click here. Then, pass is on.